This modern figure by Miss Sonia Newton of Dunsford represents Henry VII - Henry visited Exeter in 1497 to thank the city for its support during the rebellion of Perkin Warbeck. In 1497, Perkins Warbeck claimed the throne as he was the younger of the Princes in the Tower, and therefore, the rightful heir. 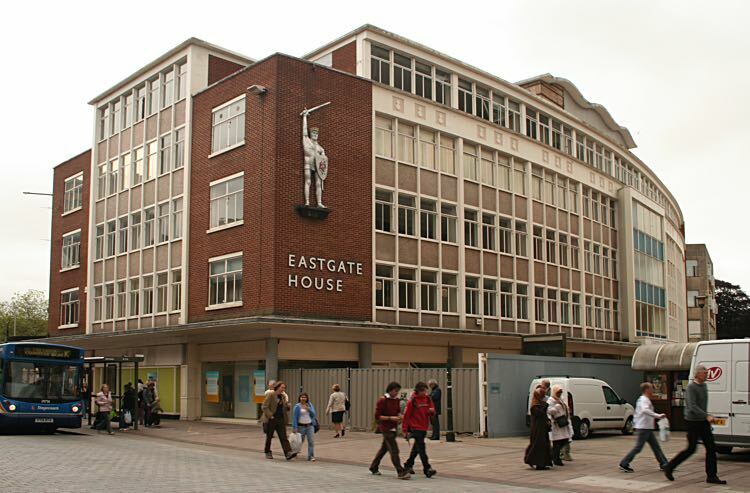 He attacked the city through Eastgate, but was repelled by the Courtenay's in the High Street, after a fight. After the seige ended, Henry VII visited Exeter to deal with the rebels. Alexander Jenkins wrote in 1805 of the events. "On his entrance into the city he was received with great acclamations and conducted to the Guildhall, where he thanked the Citizens in the most grateful manner for their stedfast loyalty and bravery in defending the city committed to their charge; and he assured them of his constant readiness to promote their interest, and protect their privileges." "The exterior arch was very strong and lofty, over which rested a statue of King Henry VII. in a Roman toga, holding a globe and sceptre..."
The hat of maintenance, and the sword are kept in the Guildhall. 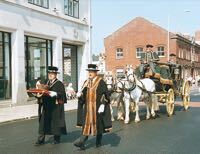 The hat is carried by the senior Mace Sergeant in front of the Mayor, when he is in a procession. 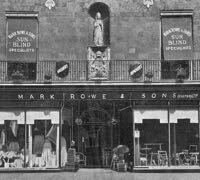 The old Eastgate was demolished in 1784 and the original stone statue of Henry VII moved to a recess over Rowe and Sons in the High Street. It was lost in the blitz of 1942. This statue was made by Sonia Newton in the early 1950's out of fibreglass. In 1980, the statue was removed for maintenance. Laurence Beckford and Nigel Taverner repaired an arm, and sword, and repainted the decoration in the council yard. 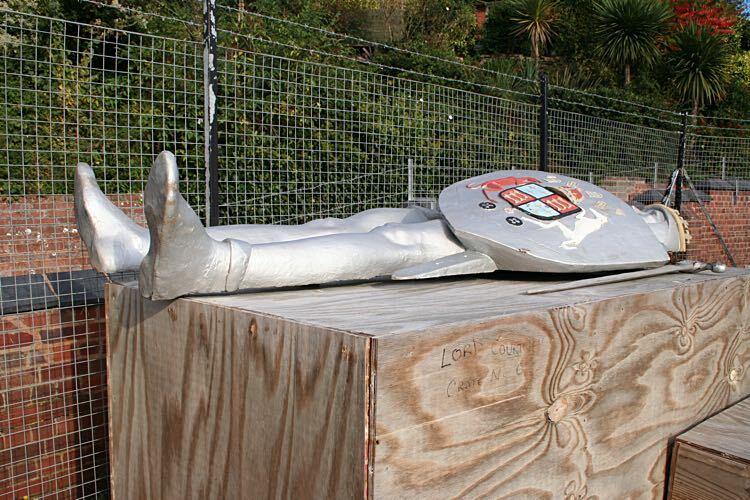 Since the demolition of Eastgate House, the statue has been removed and stored at Belle Isle. 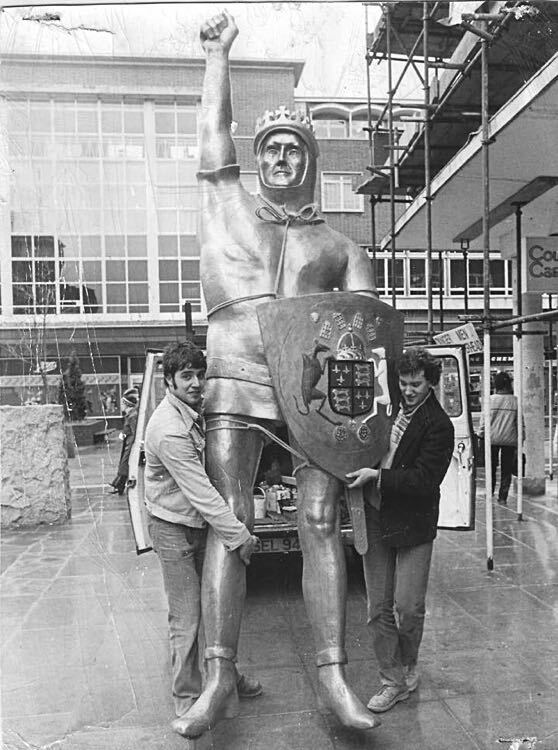 The new Princesshay has not seen the statue replaced. 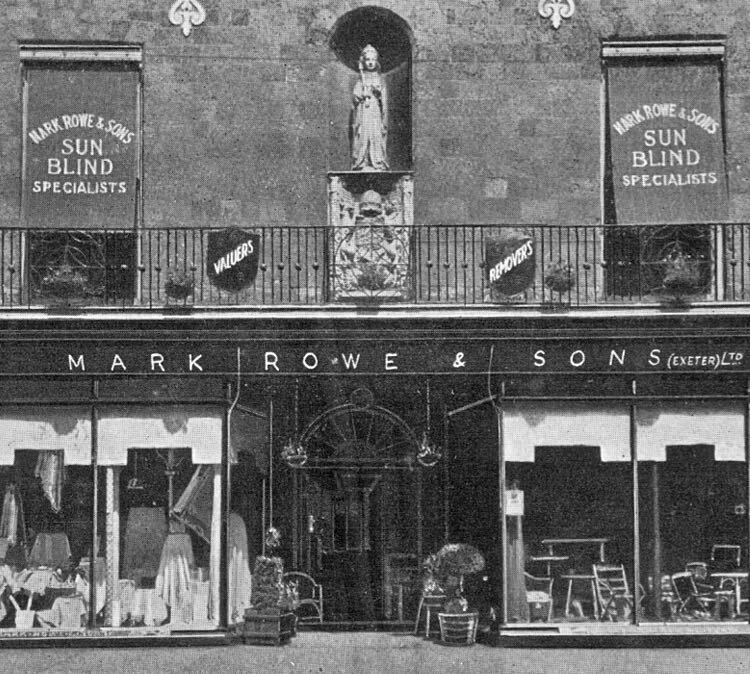 Sources: Express and Echo, Laurence Beckford and other pages in Exeter Memories. The statue of Henry VII on the side of the old Eastgate House. The statue is now stored at the Council Yard on Belle Isle. The Henry VII statue was on the old Eastgate. It was moved to the Mark Rowe building. 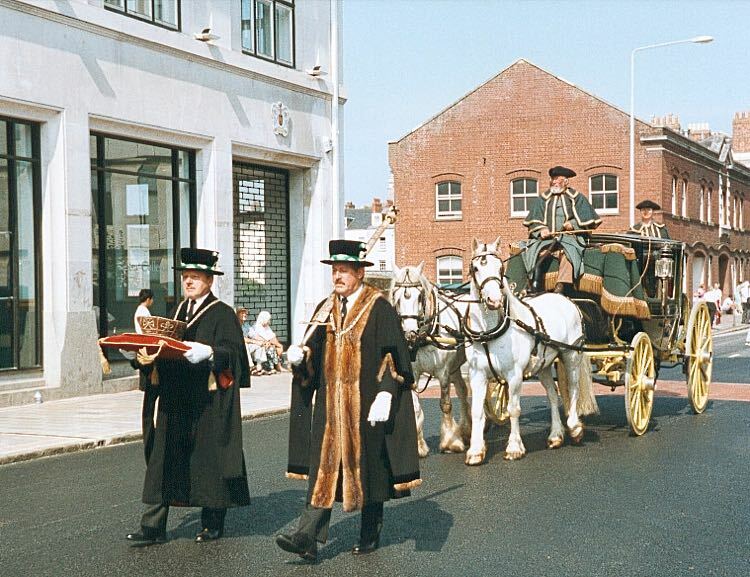 The Cap of Maintenance and Sword are carried in front of the Mayor's coach in Queen Street. Photo Alan Mazonowicz. 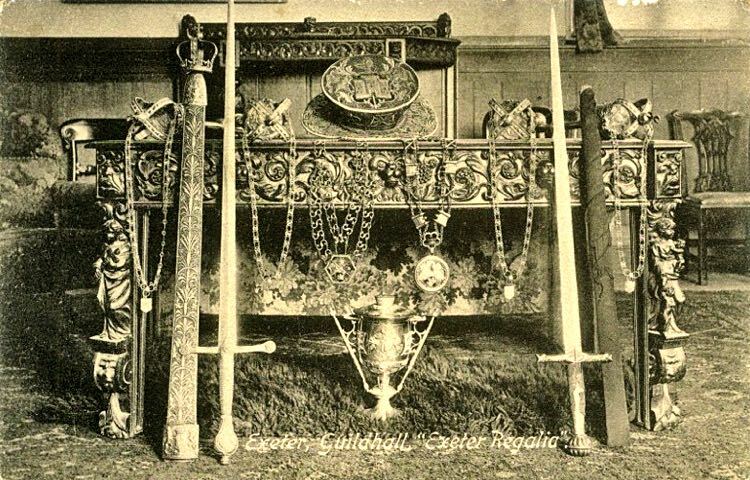 The city regalia in the Guildhall.